What does the internet look like for people who provide content and services? What is going to look like? Originally published on The Write Moms. Note: Most of this information comes from The Henry Report, and all charts were copied from there. The purpose of this article is to educate compiling information from various sources and customizing it for bloggers, and therefore, hopefully is considered fair use because I don’t have time to make a bunch of charts, and if I did, they would look the same because I would just plug in the numbers into Excel like they did. The Industry we shall analyze is labeled, “Internet Publishing.” Companies in this industry publish content and create websites online, and include social media and search engines, such as Google and Facebook in the United States, Baidu and Tencent in China, DeNA in Japan and NHN in South Korea. These companies generally have two customers: The reader (comes for content) and the advertisers (comes for access to the readers). Demand is driven by needs for information and entertainment. Profitability depends on ability to deliver the right content and offer desirable target markets to advertisers. Large companies can save money on costs with high production and maintain multiple websites. Smaller companies generally compete by focusing on niche markets. If the internet is the pie, market share tells you how big the pie slice is for each company. 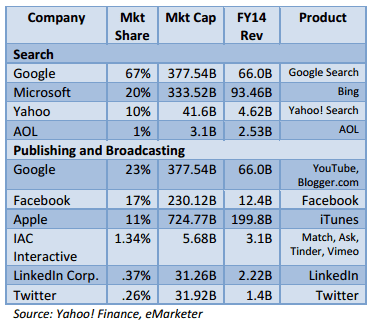 Here are some numbers for market share if you are curious or trying to get start-up money. 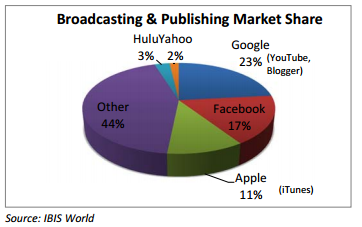 As you can see, this industry is highly concentrated as the top 50 companies account for 80% of the revenue; however, publishing and broadcasting (where bloggers fall) seems to be more fragmented than the larger companies who comprise most of the market share in the search engine arena. How do you make money from the internet? Well, let’s take a look at how most people in this industry make money. 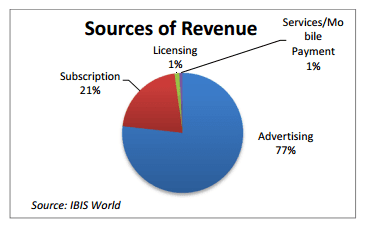 Industry Revenue is made up of the following according to Hoover’s. IBIS World and Henry came up with different percentages, but we get a general idea of where the money is coming from for most companies. The bulk of internet advertising revenue comes from paid search results and display advertising (banners, buttons, video, rich media, and sponsorships). 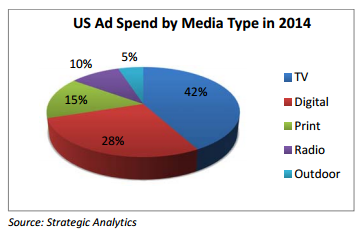 But let’s take a look at how internet advertising hangs in all types of advertising spending. Digital Media accounts for 28% of total ad spending (competing against TV, Radio and Print). This is a middle ground of percentages. It’s there because it has grown in the last decade, and it will probably continue to increase. We can safely assume it will grow to the largest percentage beating Television. The question is when? How long will that take? Keep in mind too that television advertising is also the most expensive advertising (meaning it can have less customers than the internet and still maintain it’s share of the market), but Radio and Print are also pricier than internet. Subscription Fees seem to work best for smaller, niche companies as most people do not want to pay for GENERAL CONTENT; however, they will pay for EXPERT CONTENT. 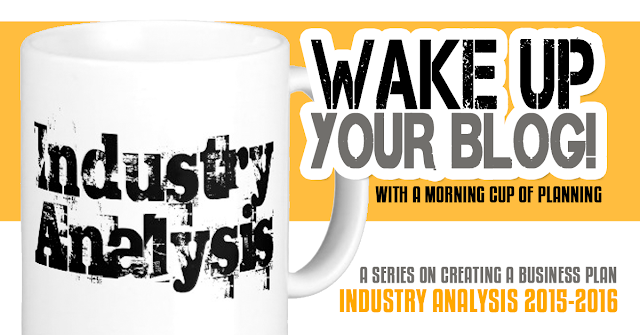 Smaller revenue streams include licensing and selling branded products. The industry is currently in the growth stage; however, it is beginning to moderate with an increase in competition for advertising revenue and low barriers to entry (meaning it doesn’t take much money to start up). 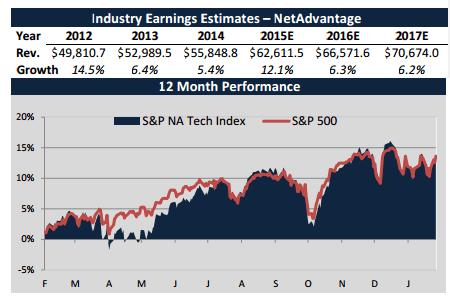 Earnings are anticipated to grow a whopping 12% in the next 2 years, which means while everything is growing, you probably won’t notice much a difference between now and then. 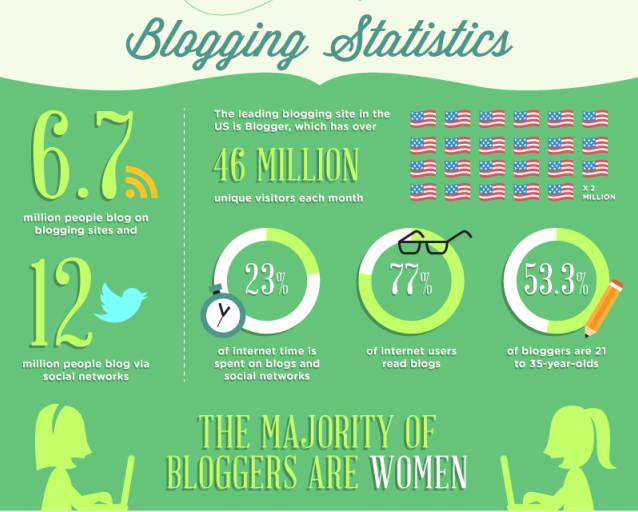 More people are blogging. Most of your current large blogs started up right before everyone was doing it and are a huge reason why everyone is doing it. Now that everyone is doing it, it’s hard to get your name out there and to get people to remember your name over everyone else’s. Without the fat stacks of stats, it’s hard to get any fat stacks of cash. But what goes around comes around. 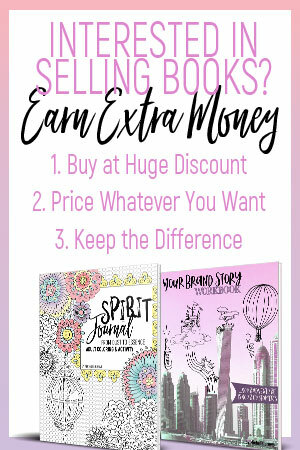 A large percentage of bloggers are realizing how much money they don’t make, and how much stats they aren’t getting, and will quit. The trend to blog will decrease at some point. What goes up must come down. 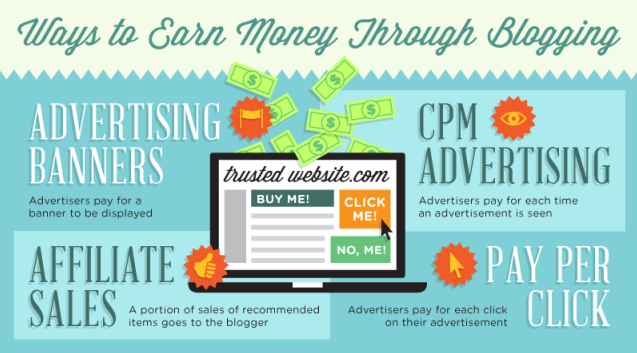 However, advertising dollars is expected to keep growing for a while, so if you hang in there, in the next 5 years, the industry will be a different place, one where the blogs who have been around for 5 plus years will have more credibility with both its viewers and B2B (business-to-business) products. Internet advertising is expected to increase 43% in the next 5 years approximating $42 billion. Search and social media will most apt make most of that revenue. Why do we think this will increase? Digital advertising space is getting lest expensive–the supply of space has grown faster than the demand. Sources are saying that companies looking to advertise need to continually make sure their products and services target people 25-40 years old, and they advise companies to keep an eye on who their users are due to rapid changes in adaptation life cycles and social trends. Because companies are being advised of such things, blogs looking to make advertising dollars should follow the same advice because the advice is geared to improving growth, but also, companies will be looking for this. Internet use will most likely increase due to steady growth in usage and times; it is forecasted to double from 2.9 billion in 2014 to 5.7 Billion in 2019. A lot of sources are forecasting an increase in usage in developing countries. One interesting thing to watch out for in tech news and innovation is SpaceX. Google has been rumored to be investing more into this company who is known for sending rockets into space, and according to their website, “with the ultimate goal of enabling people to live on other planets.” It’s possible that they may be working to improve internet access. Because he doesn’t have enough going on, Elon Musk—he of Tesla Motors, SpaceX, SolarCity, and the Hyperloop—is launching another project. Musk wants to build a second Internet in space and one day use it to connect people on Mars to the Web…. But he’ll also use the talk to announce his newest idea, which would launch a vast network of communication satellites to orbit earth. The network would do two things: speed up the general flow of data on the Internet and deliver high-speed, low-cost Internet services to the three billion-plus people who still have poor access to the Web. “Our focus is on creating a global communications system that would be larger than anything that has been talked about to date,” Musk told Bloomberg Businessweek ahead of the announcement. Read more about the project. Regardless if you believe this guy can and will do this or not, the important thing to take away from this is that improving internet access is a big ticket vision for a lot of companies, and some improvements in technology to do such things are bound to take place in the near and distant future. In addition to an increase in users, an increase in time spent on the internet is expected to increase an average of 5 hours per month by 2018. It seems like a rather small number, but we will probably notice more people online more often in the next few years. Mobile Advertising Sales is also expected to rise; however, the cost of mobile advertising will probably increase in the next couple years due to smaller screen space and higher demand. Currently, mobile advertising offers a better deal than desktop with a higher click thru rate and lower cost per click, making it all the more enticing for advertising. When it comes to finding jobs online for major websites, the industry is expected to grow. In the United States, the internet job market grew 40.3% from 2007 to 2011 with high concentration of jobs in California and New York and is expected to continue to rise with higher concentrations through the other states. Slowing economy can affect growth rate. Changes in government regulation can affect Net Neutrality. Major companies will be investing quite a bit into research and development, so smaller companies should be keeping up with latest technology. ALL CHARTS IN THIS ARTICLE CAME FROM HENRY: Thank you Henry for all your FREE information. YOU KNOW YOU WANT TO PIN THIS….